This spring, PBS LearningMedia spotlights the U.S. Constitution! Enhance your next lesson with PBS LearningMedia’s brand new collection of FREE, curriculum-targeted resources from the series, Constitution USA (Grades 9-12). Use these resources to instigate classroom discussion around key concepts like Federalism, equality, and separation of powers – and to help your students to better-understand the impact of the Constitution in their own lives. Click here to access to the new collection. Yale professor Akhil Amar talks with Peter Sagal about why our Constitution has endured as long as it has. He believes this is because of its ability to be amended. Historian Rick Beeman shares some insight behind the creation of the office of U.S. President and explains why the role’s duties are hardly touched upon at all in the Constitution. Save the Date! Before you tune-in to Episode 4 of Constitution USA – join PBS LearningMedia for an educator-focused webinar with Catherine Allan, the program’s Executive Producer (8PM ET, | May 28). 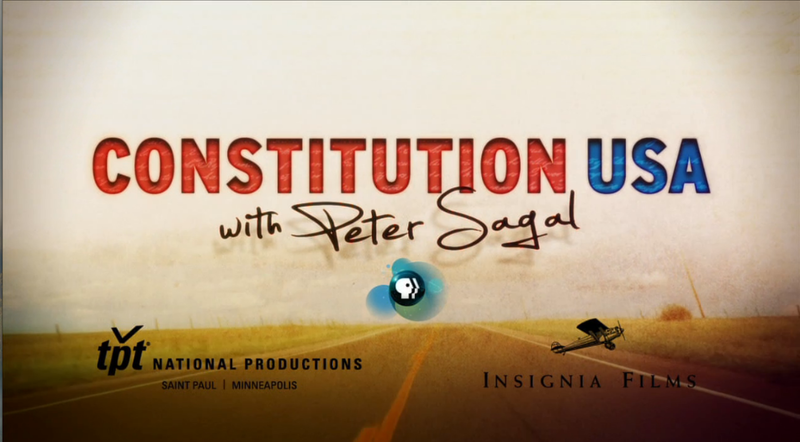 The next day, take part in an online, interactive screening of Constitution USA with special guests (8PM ET | May 29). Check the PBS LearningMedia homepage for details. The PBS LearningMedia content library provides PreK-12 educators with 30,000 classroom-ready teaching resources to engage 21st century learners while supporting the integration of the Common Core State Standards. For full access to the library, create a free account and log on!